None of these items are in stock anymore. I guess slime is no longer in. I never knew it was in to begin with. 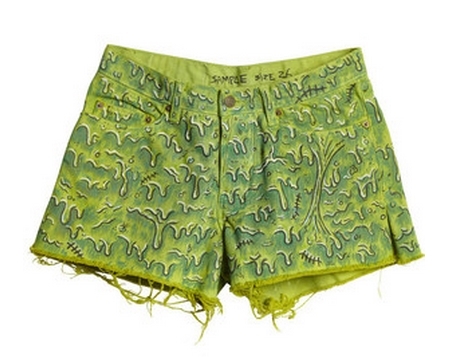 I really want to make a copy of these shorts. They are the best example of green slime clothing I have come across. They used to be found here. 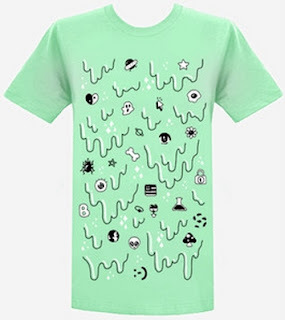 I'm pretty sure this shirt qualifies as pastel goth. 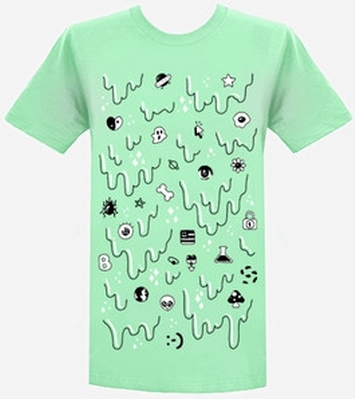 The eyeballs, bone, and mushroom are nice accents to the slime. I'm not sure how I feel about the weird emoji at the bottom' though. 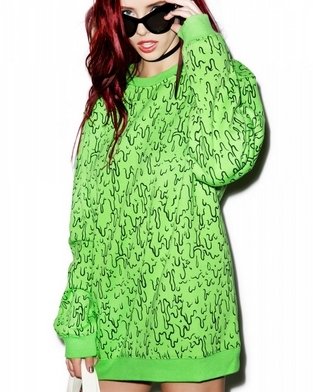 This Dollskill sweatshirt is drippin' style. I wish it had a little more dimension like the shorts, but it shows how much a simple black line can do. 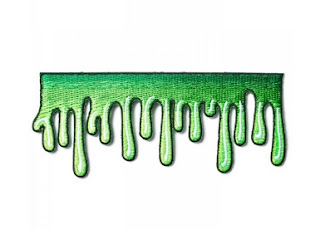 Another item that used to be on Dollskill - this is a slime patch. I think they would look pretty cool on some cuffs. And last but not least, a DIY jacket brought to you by Norelle Rheingold. She is one far out chick and I love it. So what do you think? Should I turn these seldom-worn, neon-green pants into slime-topia?